Hold onto you wallet. Gas prices have risen consistently over the last month, edging ever upward. Once again, California leads the nation into the abyss, with a state average of $4.203 per gallon, according to the Automobile Club of Southern California. While today’s prices are still below the records set last fall, we’ll see those historic numbers eclipsed if the rise is unabated. In all likelihood, it won’t be long until that happens, as prices typically rise into the summer driving season, when demand peaks. So what’s pushing the roller-coaster up hill this time? Blame it on global demand and the near total lack of competition at the street level. Petroleum is a commodity that flows to the highest bidder, and the fuel that’s refined here in the United States is increasingly headed overseas. Reduced domestic demand cannot lower prices for consumers here in America if we continue to ship these resources to other countries. The petroleum industry holds a virtual monopoly on transportation fuel in the United States and they do everything they can to maintain that position. There are alternatives to conventional gasoline today, but they’re not freely available, across the nation. Every year, hundreds of thousands of new FlexFuel vehicles are produced, joining a fleet estimated at over eight million on American roads. These cars, trucks, and SUVs can burn 100% domestic E85 ethanol which can be price advantageous in specific locations, particularly as gasoline prices rise. 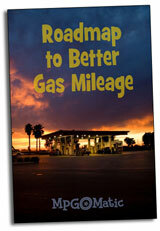 As with compressed natural gas (CNG) the cost of E85 varies by geographic area. While E85 delivers fewer miles per gallon than gasoline, if it’s cheap enough compared to conventional gas, it’s a win-win for America and American consumers. There is a lack of demand for E85, however, due in part to distribution issues. Here in the great state of New Jersey for instance, it’s nearly impossible to find E85. There’s plenty of corn grown in the Garden State, but it’s not distilled into fuel on a commercial basis. America will soon be awash in ethanol, as long-awaited cellulosic processing plants come online. The big question is where does all that ethanol end up. While the renewable fuels industry is pushing for E15 (gasoline with a 15% ethanol content), there is huge resistance from a growing coalition, which includes the petroleum industry, automotive enthusiasts, and livestock producers. Some of these folks have a very valid point. Some of these folks are merely protecting their profits. Thankfully, E15 may soon be a moot point. With E10 fuel, we’ve hit the “blend wall.” That is, we’re producing more ethanol as a nation than can be blended into our gasoline. Scientists have been working at a solution to this dilemma. Rival technologies from Gevo and Butamax (Dupont) promise to convert that ethanol into biobutanol, which can be blended into gasoline at a higher rate and without consequences. As the biobutanol production facilities come online, we’ll see the percentage of renewables rise in the cocktail blend that’s dispensed from service station pumps. Biobutanol is referred to as a “drop-in” fuel. The companies leading this quiet revolution rarely hit the evening news, but they’re creating fuel and jobs, across the country. In Mississippi, KiOR has developed a process that converts non-food feedstocks into renewable crude oil that can be refined into gasoline, diesel, and fuel oil. Right here in New Jersey, Primus Green Energy is perfecting a process that converts highly abundant natural gas and biomass like switchgrass and wood chips into a 93 octane transportation fuel that can replace premium gasoline, entirely. In New Mexico, Sapphire Energy’s algae-to-oil farm is growing Green Crude. In California, Cool Planet Energy Systems is piloting a renewable fuel production system designed to remove carbon from the atmosphere while enriching agricultural fields with biochar. These companies are pioneers and patriots. They’re not spending hundreds of millions of dollars on advertising and lobbying efforts to influence public opinion. America simply can’t drill its way out of this current mess, but we can grow our way out of it. A thriving domestic renewable fuels industry will provide jobs in every state and competition at every pump. A couple of things: First, a big part of the rise in prices has nothing whatsoever to do with supplies, the Middle East situation or how many refineries are on- or offline: it’s speculators driving the prices. As Rex Tillotson, CEO of Exxon told the U.S. Senate, $30-$40 of the price of every barrel is speculation which has been almost entirely unregulated since the Commodities Modernization Act in 2000. If you ever do a trend analysis of fuel prices, you will see a huge difference is national average prices after the law went into effect. E85 is no panacea for wallet burn: the energy content differential between E85 and regular unleaded gasoline is so great that the actual cost of using E85 works out to $4.283/gallon compared to today’s national average price of $3.689/gallon for unleaded. E85 is effectively more expensive than either premium unleaded or diesel fuel. @Bill – I absolutely agree that speculators drive up prices! Does the CEO of Exxon want more regulation? As mentioned, prices can vary significantly region-by-region. The more second-gen production that comes on line, the more the prices may drop. The cheapest price reported today for E85 in Iowa is $2.99. In Colorado, it’s $2.79. The effectiveness of the fuel depends on the vehicle. Most FlexFuel vehicles are not optimized for E85. E85 is a high-octane fuel and is an excellent choice for high-performance engines that have been built to use it. Many race teams are switching to E85 racing fuel as it’s less expensive than conventional racing fuel.